There were many surprises and some snubs too when the nominees for the 70th annual Emmy Awards were announced this morning. Laurie Metcalf earned a nomination for supporting actress in a comedy series, despite the cancelation of "Roseanne." ABC pulled the plug on the show after its star Roseanne Barr made a racist comment on Twitter. Unsurprisingly, Barr and the canceled series, despite being one of the season's most watched shows, were snubbed. John Goodman, who was quoted after the cancelation as saying, he "wasn’t going to get an Emmy anyway," did not earn a nod either. Metcalf and the other cast members, minus Barr, will return next season with a spinoff, "The Conners." Keep reading below for more snubs and surprises. John Legend attends the launch of his new rose wine brand, LVE, during an intimate Airbnb Concert on June 21, 2018 in Beverly Hills. Among first-time nominees, John Legend just became a contender for the EGOT, having previously won Grammy, Oscar and Tony awards. The singer earned a nomination for best actor in a limited series or movie for "Jesus Christ Superstar Live in Concert." If he takes home the prize, he will become the first EGOT winner to ever win all four awards in four consecutive years. "Grey's Anatomy" alum Sandra Oh has already made history, as the first Asian actress to earn a best actress nomination for her leading role in "Killing Eve." 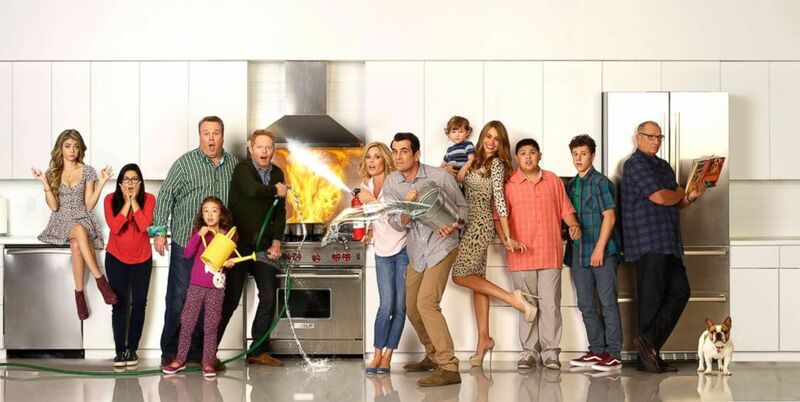 For the first time in years, veteran sitcom "Modern Family" did not earn a nomination. None of its stars were nominated either, marking the end of a long streak of nominations and wins for the ABC comedy. Another network sitcom that was overlooked was the reboot of "Will & Grace," which did not earn a best comedy spot. Stars Eric McCormack and Debra Messing were also left out, though Megan Mullally did nab a supporting actress nod. Alison Brie attends the 2018 MTV Movie And TV Awards at Barker Hangar on June 16, 2018, in Santa Monica, California. For the first time in Emmy history, Netflix has more nominations than HBO -- 112 to HBO's 108. The new Netflix show "GLOW" earned a nod for best comedy series but its star Alison Brie got snubbed, despite being widely expected to land a nomination. "This Is Us" did well, scoring nominations for best drama series and stars Sterling K. Brown and Milo Ventimiglia. But their co-star Mandy Moore was sadly left off the list. 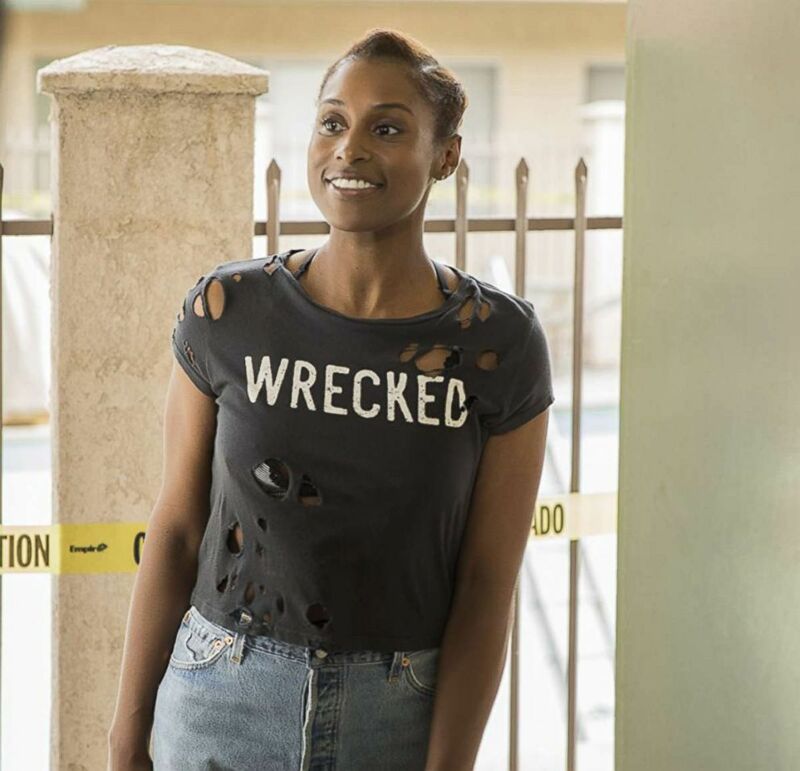 Issa Rae in a scene from "Insecure." Without perennial favorite and repeat winner Julia Louis-Dreyfus competing while she battled cancer, there were a couple new faces in the lead actress in a comedy category, including Rachel Brosnahan and first-time nominee Issa Rae. Brosnahan is considered the favorite to win, and her show "The Marvelous Mrs. Maisel" also earned a nomination, while Rae's "Insecure" did not make the list for best comedy series.